Guitar Repair & Restoration by The Guitar Specialist, Inc. I was contacted by Paul's executive personal assistant and was informed that Paul was interested in having us do some work for him. Needless to say, I was honored and welcomed the opportunity to work on some of his guitars. I was told that Mr. Simon's personal assistant would be handling all the details, dropping off and picking up the guitars. I was quite surprised and delighted when Paul showed up himself. Needless to say there was quite a buzz about the shopping center that day and whenever Paul showed up at the shop. Paul is just about the nicest and most unassuming person that I have ever met. We spent quite a bit of time just sitting around the office chatting about everything under the sun. 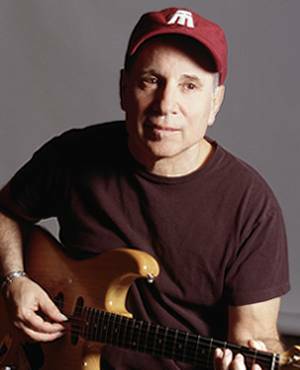 Singer-songwriter Paul Simon was born in Newark, N.J. on October 13, 1941 and grew up in Queens, N.Y., where he attended Forest Hills High School with his future musical partner, Art Garfunkel. By 1955 the duo had written their first song together, "The Girl For Me," and began performing as Tom and Jerry. In the winter of 1957 young duo had their first hit, "Hey Schoolgirl," which was recorded when they were only 16 years old. Several other singles followed, but after graduation Garfunkel went to college while Simon began a career as a professional songwriter. While most of his songs were performed by others, Simon himself did some recording as Jerry Landis, releasing a few minor singles such as "Anna Belle," "Just a Boy," and "The Lone Teen Ranger." He also sang with Tico and the Triumphs, who charted in late 1961 with "Motorcycle," and later performed as Paul Kane. In 1964 Simon and Garfunkel briefly reunited and recorded the acoustic album Wednesday Morning, 3 A.M., which failed to chart. Garfunkel returned to school and Simon traveled to England to seek new inspiration for his music. 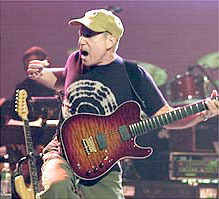 While abroad he began performing in pubs and eventually released a hastily recorded U.K. album, The Paul Simon Songbook. Meanwhile in America, a new, folk-rock edit version of the song "Sound of Silence" from Wednesdsay Morning, 3 A.M. had become a No. 1 hit, prompting Simon to return to New York and record a new album with Garfunkel and a studio backup band. 1966's Sounds of Silence established the duo as prominent folk-rock act and Simon as a masterful songwriter. The pair's next two albums, 1966's Parsley, Sage, Rosemary, and Thyme and 1968's Bookends, expanded their following and made them one of the biggest acts in music, but following 1971's Bridge Over Troubled Water Simon and Garfunkel split apart due to personal differences. 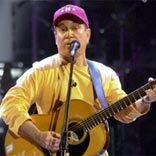 In early 1972 Paul Simon began a solo career with an eponymous LP that quickly went platinum based on Simon's name recognition and the Top 10 single "Mother and Child Reunion." Free of Garfunkel, Simon began to expand his sound, taking inspiration from reggae and Latin music and pursuing more personal subjects in his lyrics. With 1973's There Goes Rhymin' Simon, Simon established himself as a successful solo performer in his own right: the album sold over a million copies and spawned several hits, including "Kodachrome" and "Loves Me Like a Rock." After a 1974 live album called Live Rhymin', Simon returned to the studio to record 1975's Still Crazy After All These Years. The album reached No. 1 thanks to the sentimental title single and the No. 1 hit "50 Ways to Leave Your Lover;" it later won a Grammy for Album of the Year. For the next few years Simon took a break from recording, releasing the now out-of-print collection Greatest Hits, Etc., which featured a new hit single, "Slip Slidin' Away." Leaving CBS for Warner Bros., Simon returned in 1980 with One-Trick Pony, the title of both a semi-autobiographical film and the accompanying soundtrack. The new album did not sell as well as expected, leading Simon to agree to a reunion with Art Garfunkel (who had been pursuing his own solo career) for a 1981 concert in Central Park. The pair began to work on a new album together, but Garfunkel objected to the songs Simon had written (mostly alluding to Simon's recent divorce) and soon both Simon and Garfunkel were on their own again. Simon used most of the material he had offered to Garfunkel on his next solo album, 1983's Hearts and Bones, which was not as commercially successful as past albums. After Hearts and Bones Simon took several years off to work on his songwriting, and began working with African musicians, who greatly influenced his musical style. 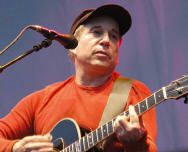 In 1986 Paul Simon staged a comeback with Graceland, his biggest selling solo album to date. With backing vocals by South Africa's Ladysmith Black Mambozo, Graceland featured the hits "You Can Call Me Al," "Diamonds on the Soles of Her Shoes" and "Graceland," and won Simon his second Album of the Year Grammy. After releasing another "Best Of," Negotiations and Love Songs 1971-1986, and taking time off to explore world music, Simon returned in 1990 with Rhythm of the Saints, a Brazilian-influenced album that spawned a minor hit single, "The Obvious Child." The following year Simon staged a massive solo performance in Central Park, which was recorded for a live album. In 1993 Simon and Garfunkel reunited yet again for a brief tour to support a new Simon and Garfunkel boxed set. The friends again went their separate ways after the tour. In November 1997, Simon released the long-awaited Songs From The Capeman, featuring 13 songs (sung by Simon) from his Broadway play of the same name. The album received mixed reviews, but the play ranks among Broadway's legendary flops, losing a total of $11 million dollars by the end of its short run. Undaunted, Simon returned with You're The One in 2000, his first album in three years. The album received critical kudos and a Grammy nomination for Album of the Year. In March of 2001, Simon was inducted into the Rock and Roll Hall of Fame. 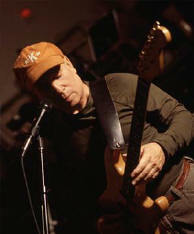 Paul Simon with his Foster Electric. This is one of the guitars we worked on for him.